E-Quip Blog: Should Your Firm Be Blogging? Social media is all the rage these days among marketing professionals, but I remain skeptical about its current value in the A/E industry. While there's no denying the remarkable growth of social media sites like Facebook, LinkedIn, and Twitter, the key question is: Can you reach the decision makers who hire firms like yours through these sites? My research suggests the answer is largely "not yet." But there's evidence in other professional service sectors that this is beginning to change. Social media to this point has better served business-to-customer marketing, but the success of business-to-business use is growing. I plan to devote a post or two to this trend in the not-to-distant future. Today's post focuses on one of the forerunners of social media: blogging. An increasing number of A/E firms have launched blogs. Should your firm be among them? Or if you're already blogging, is it really an effective marketing tool? Let's pull back the curtain on all the hype and take a closer look. Can you create strong content? Can you post on a regular basis? Can you attract the right audience? Content. As I noted in the previous post entitled "Marketing Your Intellectual Capital," most A/E firms struggle to translate their expertise into strong written content. Not surprisingly, this is the first shortcoming that's evident in the corporate blogs I've viewed in our industry. They're usually not compelling reading. Is there benefit in blogging if your posts aren't very interesting? I think not. I can testify to the difficulty of regularly coming up with something interesting to say. I don't always succeed. But I'm better equipped to do so than most A/E firms. For one thing, I'm a compulsive researcher, constantly in search of new ideas and better ways of doing things. I'm also a bit of a contrarian; I like to challenge the status quo. I work hard at trying to have something different to say. What about your firm? Where will your content come from? And what about it will attract readers to your blog? Given the glut of information available on the internet, will your blog fill a void? Fortunately there's not a lot of good content out there relevant to our business. So your blog could potentially fill a gap. The downside is that online source material may be limited. And does that fact suggest a lack of demand for that kind of content? So where does good content come from? My work experiences often generate ideas for blog topics. I suspect the same would be true for your firm. The research I perform for work assignments also contributes. Occasionally what someone else has written provides a platform for offering my own perspectives (some bloggers rely on this heavily). The best blogs are usually commentary. They share opinions and insights--often in provocative, thought-provoking manner--about topics of interest to their readers. Most technical professionals I've known are somewhat reluctant to share their opinions in writing. They prefer sticking to the facts, maintaining their objectivity. That makes for boring blogging. So, can your firm create content that others want to read? Frequency. For your blog to maintain an audience, you need to publish on a regular basis. Conventional wisdom says once a week at a minimum. Why is this important? Because most readers won't subscribe to your blog (where posts are delivered to their mailbox). Instead they will come to you looking for new content. Will they find it? Several of the blogs I have been following have stopped posting regularly in recent months. The result? I don't check their blogs anymore. I'm sure that's true of most of their regular readers. By contrast, I remain committed to posting weekly. Typically, I have a new post up on Mondays (ironically I'm late this week). That allows my readers to develop a routine in checking my blog for the latest post. There's another reason to be consistent in your postings: Your blog reflects your firm. If you don't maintain your blog (or your website! ), what does that say about you? Would you produce a brochure that left a blank space with the words "Place content here"? A blog that hasn't been updated in 2-3 months has a similar impact. If you don't have the time or resources to keep up a blog, no one will fault you. But if you take the plunge, expect to keep swimming. So what kind of commitment can your firm make? If you can't post weekly, will it be worth your while? No doubt it will be harder to develop a following if you're not regular. Obviously, your ability to create new content goes hand in hand with your publishing schedule. So it's not merely a matter of coming up with something interesting to say. Can you do it on a regular basis? Audience. Your ability to attract an audience is the bottom line in assessing your current or prospective blog. But it goes further than how many people are reading your blog. More important is whether you are attracting the right people. This means clients or potential clients, specifically those who make the decision to hire. Using Google Analytics, I can track how many people are reading my blog, but it's harder to discern who they are. Based on the comments left and other feedback I've received, my best guess is that relatively few decision makers are in my audience. In corresponding with other bloggers in professional services, this seems to be the norm. 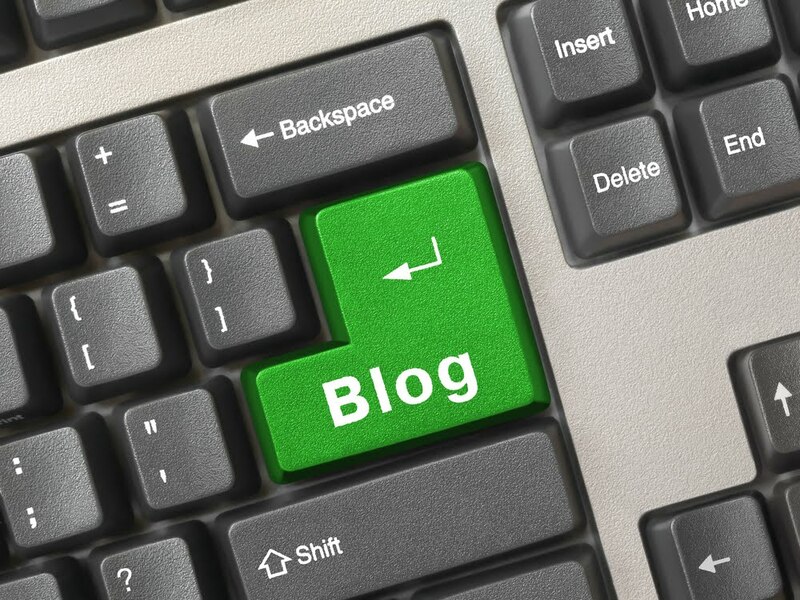 Blogging generates content that can be used for other marketing purposes. This is the primary reason I continue to blog. I've been blogging for two years, resulting in 124 posts on various topics. Those posts have been included in my monthly ezine, forwarded to clients, linked to by other blogs and websites, referenced in training materials, and converted into articles that have appeared in both print and online publications. The self-imposed commitment to post weekly has pushed me to create far more content than I was previously. Blogging enhances your web presence. My Google page rank has improved substantially since I started my blog. Google searches favor interactive blogs over static websites. Plus my posts have been picked up by other blogs, attracted interest from leading experts and authors, and facilitated discussions with readers and other consultants and bloggers. Blogging helps position you as a content expert. Who are the top experts in their respective fields? Generally those who are writers and speakers. This is an area where few engineers and architects have distinguished themselves. Blogging can be a great way to get started. You don't need to commit to long articles; in fact, it's probably better to keep your posts relatively short (obviously I don't always follow my own advice). Just have something to say that's insightful, bold, and fresh. My advice? Take a hard look at blogging, but don't do it unless you intend to do it right. If you were thinking clients would be reading it, think again--they probably won't be unless you send it to them (which you can do, of course!). And consider how many ways you might leverage your blog to support your marketing efforts.